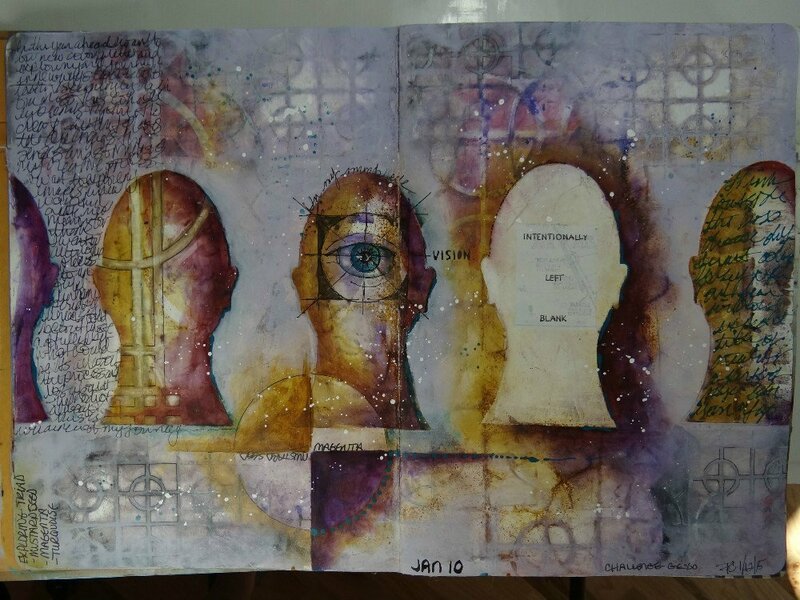 StencilGirl & Friends: An Art Journal Affair! Four (4) Rockstar Instructors. Two (2) full days & nights with nothing to think about but Art Journaling. Optional Friday activities in a wonderfully creative UNESCO designated city. A brand new Retreat Hotel blocks from the Lower Town Arts District and Historic Downtown Paducah, opening reception and lunches included in your registration, goody bags, surprises, and, Oh! did we mention….STENCILS?? Escape to Ephemera Paducah for a weekend of intensive art journaling fun in the quaint river city of Paducah, Ky. Indulge yourself in hours of creative adventures. Cultivate new friendships and nourish your soul in a supportive environment designed to encourage students to experiment with new techniques, tools, and concepts. Ephemera Paducah is so honored to partner with StencilGirl Products to bring you this extraordinary event! 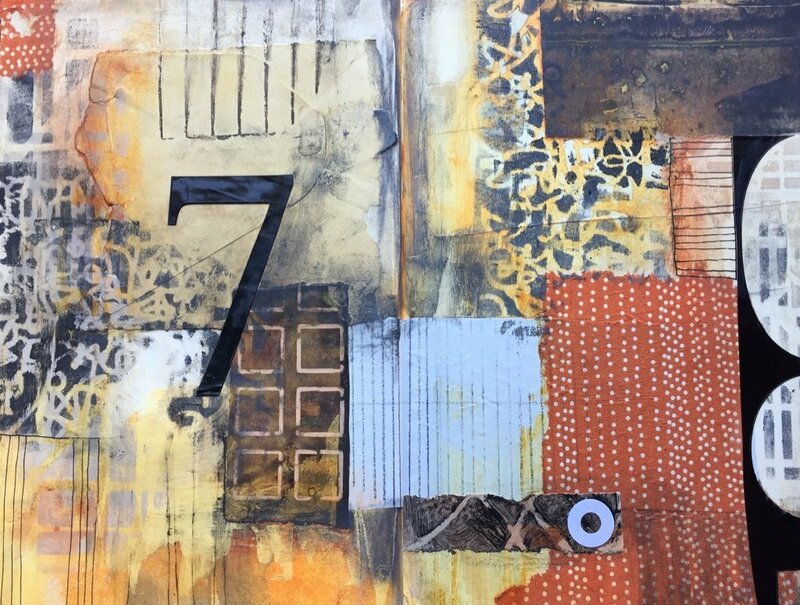 An Art Journal Affair features coordinated workshops taught by StencilGirl designers and instructors: Seth Apter, Traci Bautista, Pam Carriker and, StencilGirl herself, Mary Beth Shaw. We’ll explore a gazillion (well, OK, a TON of) art journaling techniques and, along with honing your skills, you’ll take home a commemorative set of StencilGirl stencils created just for this art retreat. When the day is done, you’ll have plenty of time to explore Paducah, a designated UNESCO Creative City, which brims with delightful eateries, shops, cultural attractions and places to visit. You’ll also be invited to spend time after hours in the Art Journaling Playroom we’ve set up just for you at your hotel. Ephemera Paducah will be transformed into StencilGirl Central with onsite shopping for all your mixed media dreams! Optional mini workshops and Paducah Tours announced soon for those who would like to arrive early! Opening Reception @ 5:00- 7:00 pm – Door prizes @ 6:00, pop-up demonstrations, general merriment! Half the attendees will spend the day at Ephemera Paducah and enjoy a coordinated workshop with two of our Instructors and half will be located across the street at the Paducah School of Art and Design with our other two Instructors. If you are traveling with friends and want to stay in the same group, just zip Kristin an email! We’ll switch! Half the attendees will spend the day at Ephemera Paducah and enjoy a coordinated workshop with two of our Instructors and half will be located across the street at the Paducah School of Art and Design with our other two Instructors. Some of your favorite rubber stamps. Un-mounted work great and cut down on weight traveling. There will be some to share in the workshops, as well, so no worries if you don’t have them. IF you have these items and want to bring them, bring them. If not, try them out in class and decide on purchasing them afterward. We will have them for sale in the shop if you fall in love. Seriously, totally OPTIONAL. Optional: Holtz Distress Crayons or Marabu Art Crayons (make sure to identify them some way as yours). We will have a quantity to share in each workshop but this will cut down on your wait time. Art Journal Play Room will be open 7:00 pm – Midnight Friday night and 5:00 pm – Midnight Saturday night. Bring your favorite creative supplies for the Art Journal Play Room! The Holiday Inn Paducah Riverfront is open and Gorgeous! LinGate Hospitality is bringing the upscale 123-room property to Paducah located next to the Convention & Expo Centers (at 400 N. 4th Street — about 6 blocks from Ephemera Paducah). The five-story hotel includes meeting spaces, a pool, and fitness center in addition to a full-service bar and restaurant. The Paducah Holiday Inn Riverfront Room Block ends August 22nd. Reserve using the code SGP and calling 1-800-465-4329. 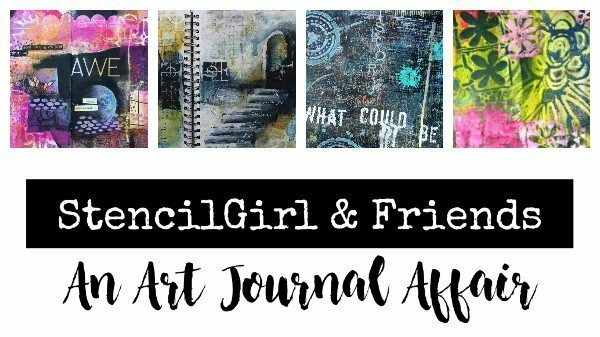 We are offering the opportunity to pay a $99 deposit to secure your spot in StencilGirl & Friends: an Art Journal Affair! The balance of your registration fee, $326, is due on or before July 1, 2017. Minimum 20; Maximum 50. Minimum age to participate is 16. For those taking advantage of the deposit system to hold your spot in the full weekend of classes, the balance of payment can be made via PayPal on this page. If you have secured a spot in the workshop and find you cannot attend, please email Kristin ASAP. Until July 15, 2017, you can be refunded what you have paid less 10% of the total registration fee ($42.50) if someone from the Waitlist takes your spot.